Fort Lee, NJ is located right on the Hudson River across from Manhattan. Being able to walk down the street and catch a glimpse of perhaps the greatest city in the world is a great treat, and contributes to Fort Lee’s dense and diverse population. 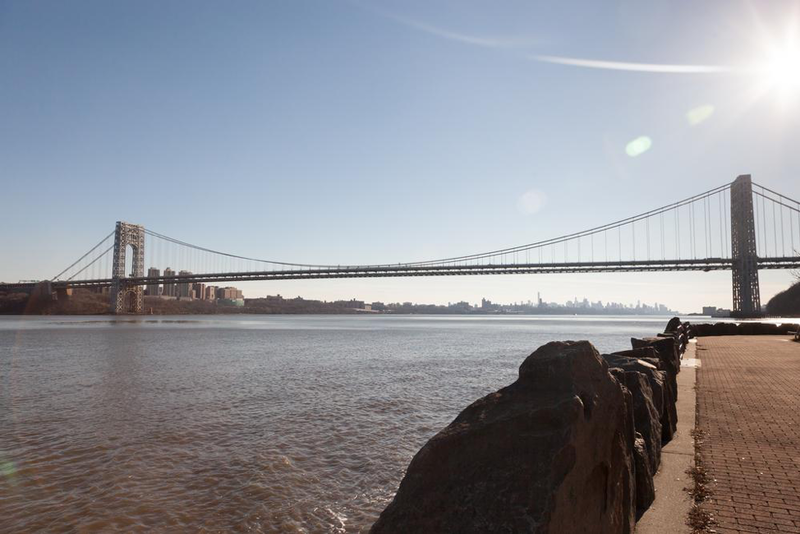 Getting to New York City via Fort Lee, NJ is as simple as taking the George Washington Bridge. This is why many of its over 32,000 citizens call it home. It’s no surprise, then, that Fort Lee, NJ is an excellent town to live in, with top-rated school systems and a median home value nearly double the national average. Its diversity and prosperity make digital marketing and direct mail services in Fort Lee quite valuable. No matter who your company is trying to reach, it’s likely that somebody in Fort Lee, NJ is interested. Leading digital marketing agencies in Fort Lee will even help you capture some of the New York market, which is incredibly valuable. The key to a successful direct mail campaign is knowing your customers inside and out. Ballantine is one of the leading direct mail agencies in Fort Lee, and we have over 50 years of experience in the area. We’ll give you the tools that you need to succeed in Fort Lee, NJ and the surrounding area. For direct mail or digital marketing services in Fort Lee and the surrounding area, Ballantine is here to help. Just click here or give us a call at 973-305-1500. We’ll help tailor your marketing needs to reach this specific market. Via car, you may simply take the George Washington Bridge directly from Manhattan to Fort Lee, NJ. Via train, you will need to board in Midtown and head to the nearest station (Wood-Ridge, Teterboro, Essex Street, Anderson Street, or New Bridge Landing). There is also dedicated bus service between New York City and Fort Lee, NJ. Head onto East Kennedy Street and turn onto the Interstate 80 E ramp, then merge onto the highway. Take the exit on the left toward George Washington Bridge. Keep right and follow the signs for US-1 N / US-9 N/George Washington Bridge. Keep going on US-1 N / US 9 N and take exit 73 toward NJ-67 / Lemoine Ave / Fort Lee.